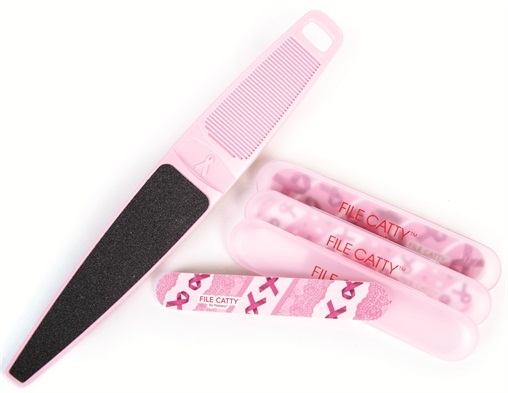 Flowery Professional, a line from Spilo Worldwide, offers three files dressed up in pink ribbons. Each is safely protected inside a patented pink translucent case that also prevents valuables from being scratched by the abrasive. The 18-piece display holds six of each style. The original rigid Swedish Clover handle in pink is embossed with a pink ribbon. Spilo will donate a portion of the proceeds from every sale of these products to Expedition Inspiration. For more information, visit Spilo Worldwide Pink Ribbon Files.